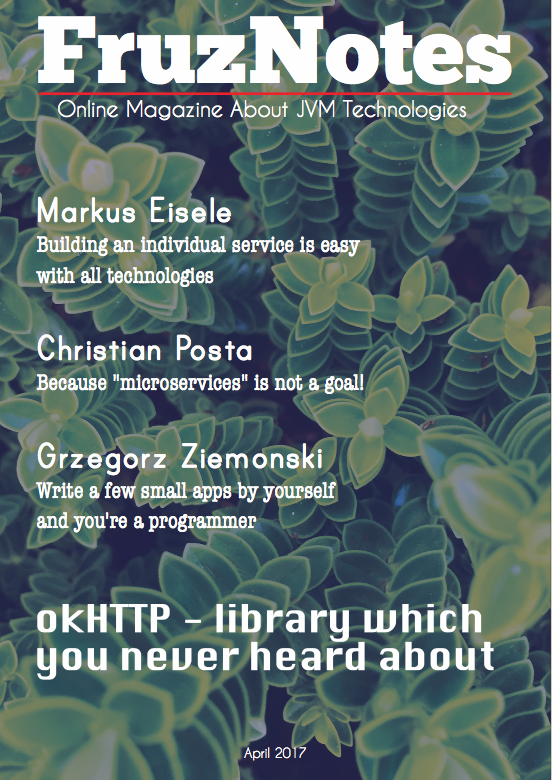 Hibernate is an essential library in the tutorial. MySQL connector is needed in order to establish connection with the database. 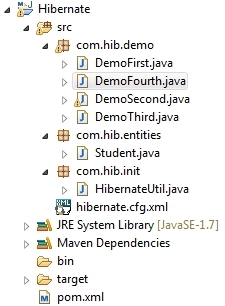 Now it’s a good time to think about the java classes which are required for the demonstration of Hibernate functionality. The example will be based on interaction with one database table. Hence I will create one POJO class to represent the database table and I’m going to annotate it. One Java class is needed for generation of SessionFactory. And in the end I suggest you create several classes for the demonstration of CRUD operations using Hibernate. I hope the code snippet above doesn’t need any explanation because it’s really clear and self commented. But as usual you are welcome to ask any question in the comments. Afterwards let’s create HibernateUtil class. Its destination is to be a helper class, which contains an initialization of the SessionFactory. Here occurs initialization of SessionFactory based on hibernate.cfg.xml; You can notice that static block is present because often just one SessionFactory object is used within application. This database table, as you remember must have an appropriate POJO class. Pay your attention to the fact that I have imported annotations from javax.persistence. * package, that’s because we can work with Hibernate through JPA. Notice that the class above is figured in the hibernate.cfg.xml. I recommend you read more about these annotations in the official documentations, there you will find additional important information about them. It’s time to perform CRUD operations with all this stuff. Run this class several times and add different students to the table. In this way you can perform select statements using Hibernate. Hibernate is very useful, it takes plenty of work on itself. The main aim of Hibernate is to make development more easy and convenient. You can’t imagine all range of Hibernate functionality from this post, but it’s a good point from which you can start your learning.